Note: This story became part of the fix-up novel Return to the Stars (1969). 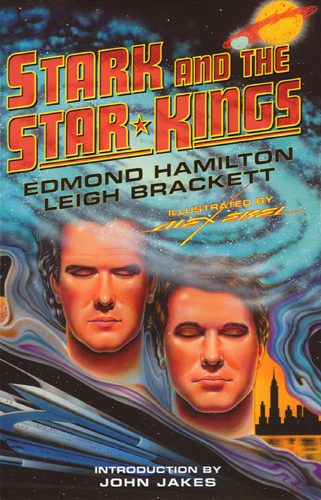 “Hamilton had a resurgence in the magazine with a handful of superb tales, including ‘Sunfire!’ (Amazing, September 1962), about sentient energy life on Mercury.” – Ashley, Mike, Transformations : the story of the science-fiction magazines from 1950 to 1970, Liverpool University Press, 2005, p. 227. 「水星に棲む有知覚のエネルギー生命を扱った」 – マイク・アシュリー著 ; 牧眞司訳『SF雑誌の歴史：黄金期そして革命』（東京創元社, 2015）p. 288. Imagination [v8 # 3, No.55, June 1957] (35¢, 132pp, digest, cover by Lloyd N. Rognan), pp. 6-60. illustrated by LNR.